I love getting little insights into their life together from reading Charlotte's posts. 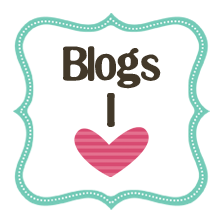 Kerry's blog was one of the first blogs I came across and she covers so many areas from parenting, home decor, recipes right up to the odd fashion post. Another great blogger who covers a range of topics. Another blogger covering a wide range of topics! I'm dying to go shopping with this wonderful woman! watching her vlogs leave me beaming like a Cheshire cat because she's just so down to earth and seems so fun to be around. And what a inspiration for style and very talented lady!